In 2009, Carol graduated from the University of Pennsylvania’s Wharton School of Business and School of Nursing, earning dual Bachelor’s Degrees of Science in Economics and Nursing. Following the completion of her undergraduate degrees and working as an Emergency Room nurse at the University Medical Center of Princeton, Carol co-founded and served as Medical Director for LifeNet International (LN), a social enterprise that created a sustainable network of healthcare clinics in Burundi, Africa. ?Carol went on to complete her Master’s of Science in Nursing from the University of Pennsylvania School of Nursing and became board-certified as a Nurse Practitioner (NP), specializing in Adult-Gerontology Acute Care. Carol experienced first-hand the powerful, life-changing results of regenerative medicine while working in a clinic in Temecula, CA. At the time, she was also practicing as an NP in the emergency departments of several Temecula area hospitals. Carol was so inspired by her exposure to regenerative medicine, in contrast to the opiate crises and revolving door syndromes that were pervading medical care in the hospital. In 2016, she founded Joy Wellness Partners, with the vision of making high-quality personalized regenerative medicine available to more people in Southern California. 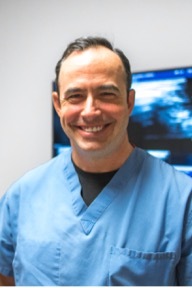 Dr. Shawn P. Tierney is a musculoskeletal sonologist and leader of multiple regenerative medicine clinics in Southern California, specializing in ultrasound-guided procedures such as stem cells, PRP, spinal injections and nerve hydrodissection. Shawn Tierney, DC, RMSK, is an expert educator for physicians and sonographers in musculoskeletal ultrasound and serves as a faculty member of MSKUS. Dr. Tierney has done extensive work in Sports Medicine, Rehabilitation and Nutrition in addition to practicing Chiropractic Medicine for over 15 years. Dr. Tierney received his degree from the Los Angeles College of Chiropractic Medicine. Prior to studying chiropractic medicine, Dr. Tierney was an environmental organic chemist and a personal trainer since 1986. Not only does Dr. Tierney have experience as a nationally ranked body builder, he also actively assists in the recovery of many professional athletes. Dr. Tierney has treated members of the U.S. Water Polo Team, the U.S. Olympic Swim Team and professional athletes from the MLB and NFL. Dr. Jim Chen is a board-certified MD from Australia where he specialized in general medicine in the Royal North Shore Hospital in Sydney. Following his tenure there, he made the move to the United States in 2017 to pursue his other passion – medical innovation and the intersection of health and technology. In his time here, he has consulted across various medical fields, including diagnostic laboratory testing, the latest in hormone therapies, and regenerative medicine. In 2017, he assisted a local diagnostic laboratory in rolling out their FDA-certified IVF testing line and expanding their hormone testing services. 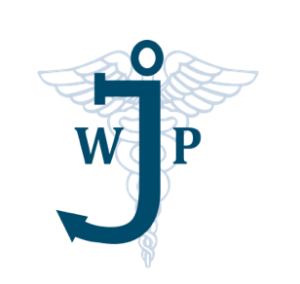 Dr. Jim Chen joins JWP to bring about a new approach to patient-centric care. 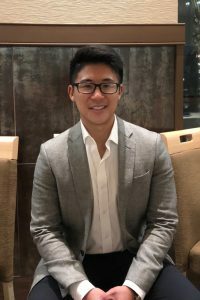 With his diverse experiences and Australian values, Dr. Chen is constantly seeking new ways to improve how JWP will provide the highest in patient care, all with a smile on his face. He completed his MD at the University of New South Wales, Australia and his MPH at the University of Sydney, Australia. Peggy McGill has practiced as a Family Nurse Practitioner for over 20 years. She is experienced in Family Practice, Urgent Care, Regenerative Medicine and Hormone Balancing. In 1998, Peggy graduated from California State University, Dominguez Hills with a Master of Science in Nursing and Family Nurse Practitioner Certificate. She earned her Bachelor of Science in Nursing from Loma Linda University in 1984. Peggy has served in the military since 1999. She is a United States Air Force Reserve Veteran and currently serves in the California Army National Guard Medical Command. Since graduation in 1998, Peggy has continuously and actively practiced as a Nurse Practitioner in the Temecula, Murrieta and Lake Elsinore areas. She has recently expanded to providing professional services in San Diego. 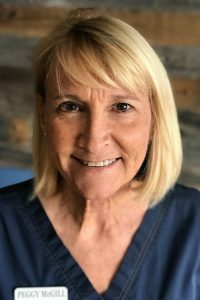 Peggy is trained and proficient in a variety of specialties and holds multiple certifications including BioTE®, Platelet Rich Plasma (PRP), Federal Motor Carrier Certified Examiner, Trauma Nurse, Advanced Cardiac, Pediatric and Basic Life Support. She works autonomously and in conjunction with other health professionals including physicians to offer a wide range of health services and provide full and comprehensive care to manage patients’ medical needs. Cindi earned her BSN Worcester State College in 1999. She began her nursing career in Hematology Oncology BMT at Dana Farber Cancer Institute in Boston, both as a Chemotherapy Infusion Nurse and Lymphoma Research Nurse. Cindi expanded her career into the medical aesthetic field in 2007, performing sclerotherapy, and administering botox and dermal fillers while working with a vascular surgeon. In 2009, while continuing her work in both fields, Cindi moved to San Diego where she began work in a hospital outpatient oncology center. At that time Cindi was also working at a plastic surgeon’s office providing botox, dermal fillers, Laser hair Removal, IPL, microneedling, and other medical aesthetic procedures. Between 2010 and 2016 Cindi worked with a specialty pharmacy company, as a Clinical Nurse Educator training RNs around the country and providing CE courses on the proper administration of IV infusions. Later, as a Clinical Sales Specialist for the same company, she was able to focus on Hematology Oncology practices, promoting best care practice for patients. In addition to her role at JWP, Cindi is currently a Clinical Trial Educator in the San Diego area and other locations in the country. She is motivated by her experience caring for patients battling cancer in Oncology and undergoing Chemotherapy treatment to provide the best care for all patients. 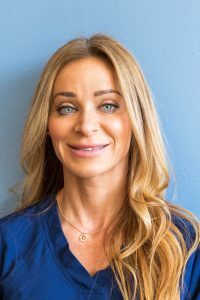 She truly enjoys her work in medical aesthetics and in providing IV infusions, helping her patients to gain confidence, by looking and feeling healthy and youthful. Josie Spence is a Certified Registered Nurse, the Founder of Viva Infusions, and her company provides infusion expertise in the JWP IV Lounge. Josie has been an RN for over 13 years, and her passion in life is healing and caring for others. Josie graduated with an A.S. in Nursing from Delaware Tech Community College in 2005. She quickly advanced from her internship in critical care at Bay Health in Dover Delaware to the ICU, where she cared for post cardiac procedure patients and patients in critical need of life sustaining treatment for 6 years. 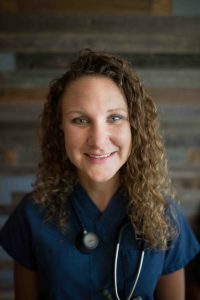 Furthering her career in nursing, Josie became an RN and worked as a Trauma Nurse in the Bay Health Emergency Department. 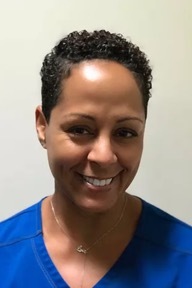 After mastering her nursing skills through 15 years of patient care at Bay Health, Josie decided to become a travel Nurse, which eventually brought her out to San Diego’s Sharp Grossmont Hospital, and many other healthcare facilities in Southern California. Josie formed Viva Infusions in 2018 with the vision of expanding the availability of life-enhancing infusions beyond the walls of the hospital. Joy Wellness Partners is benefiting from the expertise of Viva Infusions as Josie enhances the quality of patient care in the IV lounge.